Great place far from the city. Awesome view to Lantau peak! We went to the hostel like 4-5 times already and we will come back again! One of my best places in HK! Thanks YHA!!! The rooms were fine. The bathroom was a little dirty. The breakfast was good but you have to pay for it. There is a kitchen with all you need to cook. I like the wilderness around there. You can walk in the woods or see the temple and Buddha. If you get up and explore before the tourists get there (before 10 am) then it's really great. The site is BEAUTIFUL. The kitchen is very well stocked. 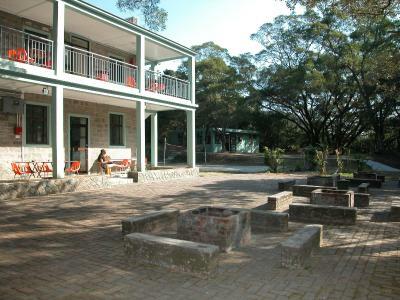 The place is clean with ample staff attention, hot water, toilet paper, breakfast drinks and lots of available cooking and sitting areas. The room and linens were of good quality. The place was booked at only half capacity while I was there = comfortable, clean and available amenities. Nice communal, friendly vibe about this place. The room was clean and we were given fresh bedding. The guy at the front desk was friendly and helpful and helped us to print our boarding passes for our flight. Very basic accommodation, but I didn't come here for luxury anyway! kitchen is well-supplied with pans etc but a little bit dirty. Reception were very helpful helping me decide where to hike/explore. Very quite place! Also comfortable! Met a lot of nice people there! 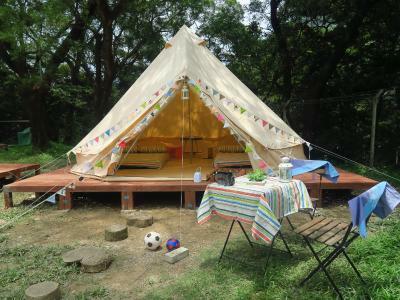 Great location to stay when the plan is to hike the Lantau Trails. Clean. Friendly staff. The hot shower was great! The bed a thin rubber pad. The woodwork needs a lot of paint! Balls of dust in halls. Good hiking and location to Buddha and monastery. Taxi 200 Hong Kong dollars from airport. More than 45 minutes ride. Bus takes one hour. Arriving at night means a long walk up hill through the woods, but the path is actually a road. Kitchen has many facilities, but much cleaning is needed. 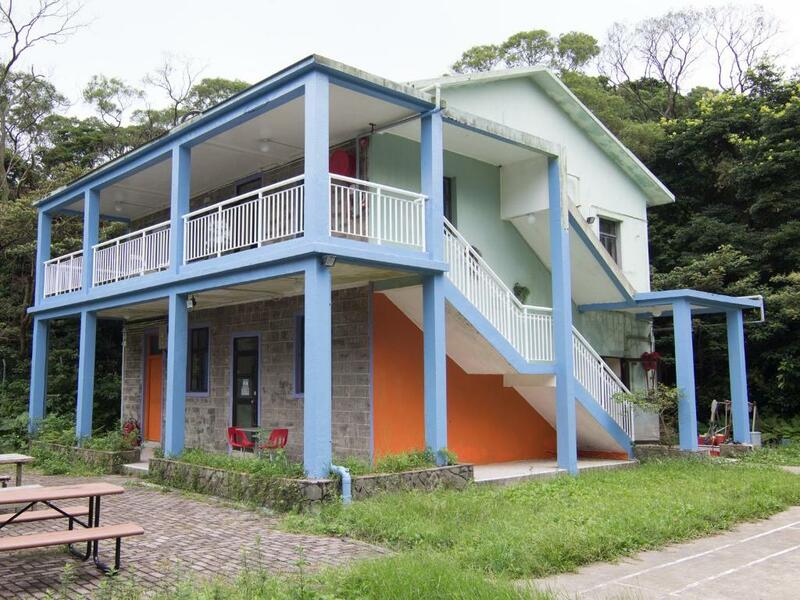 YHA Ngong Ping SG Davis Youth Hostel This rating is a reflection of how the property compares to the industry standard when it comes to price, facilities and services available. It's based on a self-evaluation by the property. Use this rating to help choose your stay! 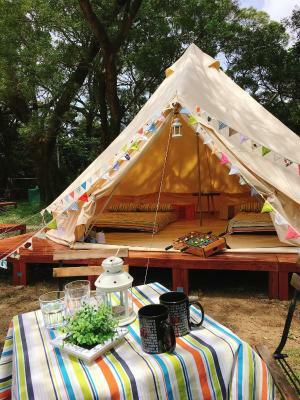 YHA Ngong Ping SG Davis Youth Hostel is located in a spectacular landscape and surrounded by attractions full of Chinese flair. 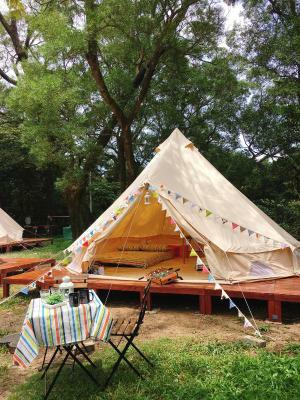 It is also close to various fascinating hiking trails such as the famous Lantau Trail. 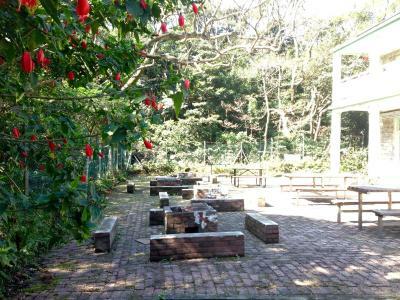 Wisdom Path is 5 minutes' stroll away, while Lantau Island Ngong Ping Bus Terminus can be reached in 8 minutes' walk. 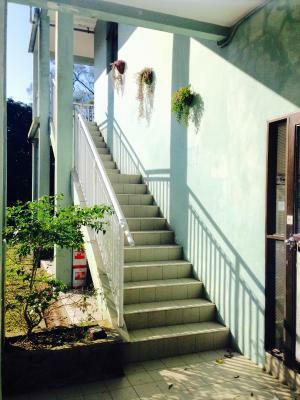 Within 10 minutes, you may walk to Po Lin Monastery, Ngong Ping Piazza and Tian Tan Buddha. Hong Kong International Airport is 4.3 mi away, about a 45-minute taxi ride. 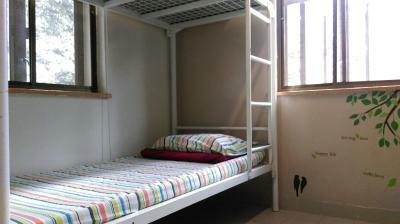 Both individual rooms and dormitory beds are provided. 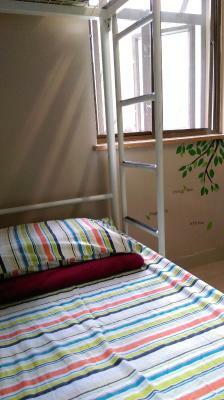 When would you like to stay at YHA Ngong Ping SG Davis Youth Hostel? 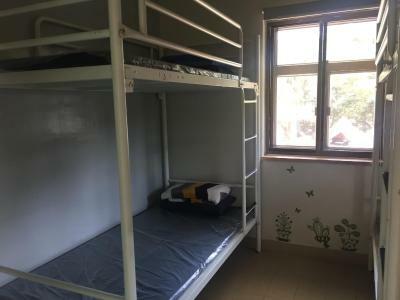 If additional beds are needed, please contact the hostel directly when making the reservation by leaving a request under the "special requests" box. 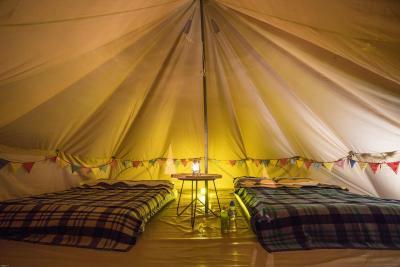 On-the-spot requests for additional beds are subject to availability and might not be entertained. 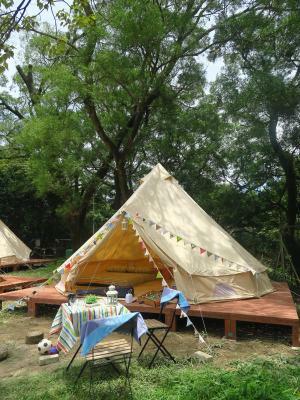 To ensure that all guests’ stay is enjoyable, guests bringing along children aged under 5 must submit a Parent/Guardian consent letter when making reservations of YHA Ngong Ping SG Davis Youth Hostel; and children are required to stay in a private room with their parents/ guardian. Guests are strongly advised to check important information located at the bottom of the booking page. 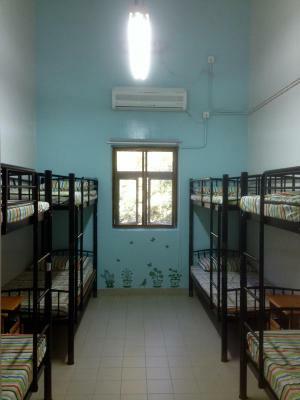 This dormitory has air conditioning. 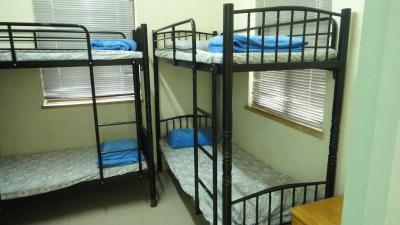 Please note that the dormitory is for female only. 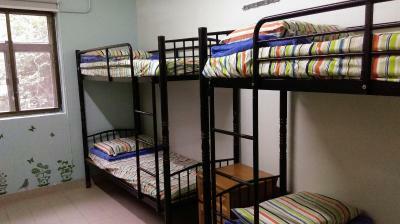 This dormitory has air conditioning. Please note that the dormitory is for male only. 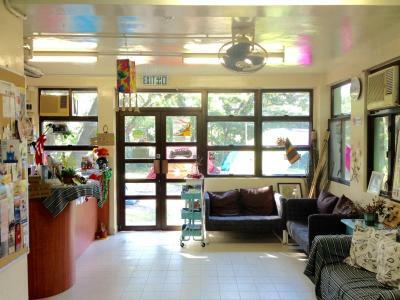 House Rules YHA Ngong Ping SG Davis Youth Hostel takes special requests – add in the next step! YHA Ngong Ping SG Davis Youth Hostel accepts these cards and reserves the right to temporarily hold an amount prior to arrival. 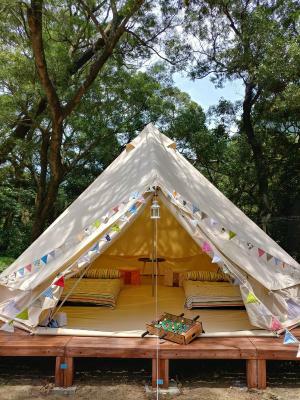 Please note that YHA membership is required and on-site application is available at an extra cost (HKD 150 for one-year membership of Hong Kong Youth Hostels Association). Each single member is entitled to bring a maximum of 3 nonmembers who are requested to pay the standard rate. Smoking is strictly prohibited on the hostel premises to make sure hostelers always have fresh air to enjoy. The hostel offers lockers. Hostelers can bring a small lock to keep their personal belongings safe. 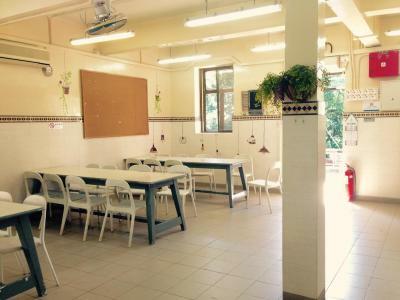 In order for hostelers to indulge in the pleasures of cooking and enjoy local food, the hostel does not provide catering service. 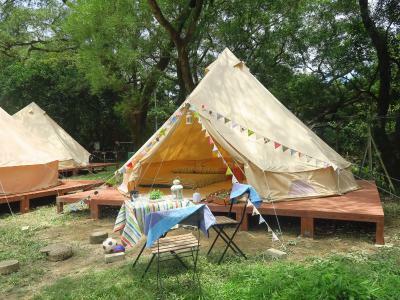 To ensure that all guests’ stay is enjoyable, guests bringing along children aged under five must submit a Parent/Guardian consent letter when making reservations YHA Ngong Ping SG Davis Youth Hostel; and are required to stay in a private room with their parents/ guardian. 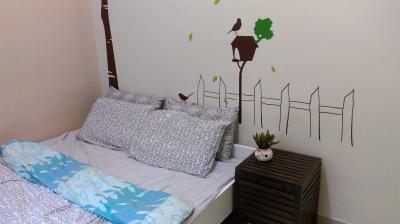 All hostel rooms only accommodate the designated number of guests, regardless of age. 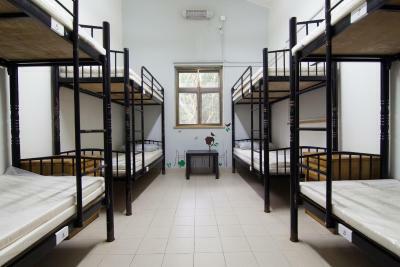 If additional beds are needed, please contact the hostel directly when making the reservation by leaving a request under the "special requests" box. On-the-spot requests for additional beds might not be entertained. How to reach the hostel from Hong Kong International Airport. - Take bus S1 to Tung Chung Bus Terminus. 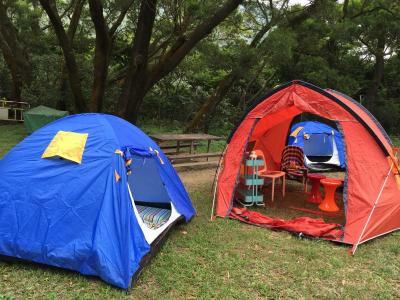 - Take bus 23 from Tung Chung Bus Terminus to Ngong Ping Bus Terminal walk towards Po Lin Monastery. 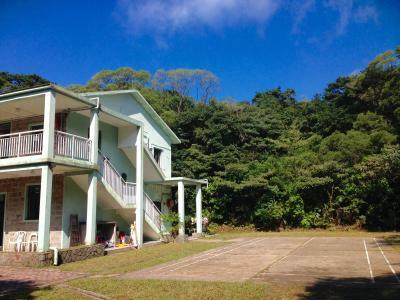 The taxi fee from Hong Kong International Airport to the property is around HKD 200. 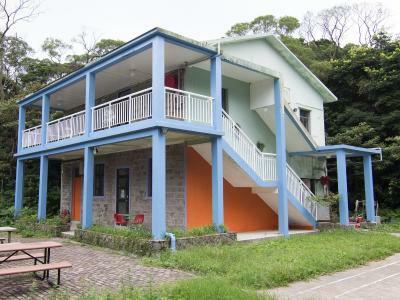 At daytime before 18:00, guests can arrive at the hostel by bus No.23 or NP360 cable car from Tung Chung city center. After 18:00, guests should take taxi directly to the hostel. Please present the same credit card used to guarantee your booking when checking in / making payment at the hostel. That was just awful. Once you arrive, the personnel (who are very impolite) ask you to pay also for a membership (which is at least 20€ for one year), otherwise they won't permit you to the room that you already paid charges!!! We refused the membership and were forces to spend the night outside in the mountain!! Fine print that requires an additional payment of 150). Should be stated in price. Not well maintained and not clean. Bathroom floors a bit wet, some bugs in bathroom but in the middle of the woods this can't really be avoided! 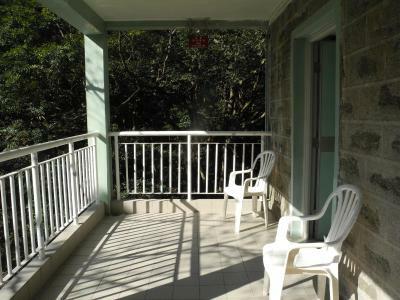 Location is great for a nature getaway - is close to lots of hiking. BBQ pits available. 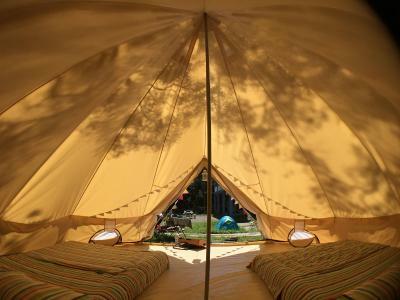 Tents are fun for a change from usual hostels. 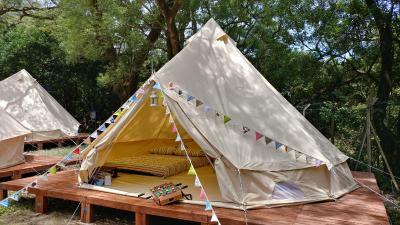 It rained in the night but the tent held up great! Full kitchen with hot and cold purified water available. Cold beer for sale at a good price! 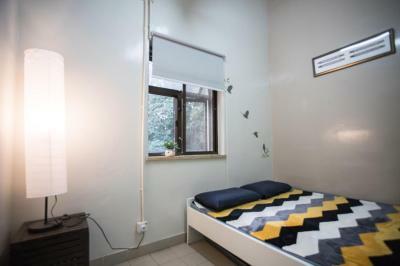 It is a member-only place which was noticed beforehand, meaning an additional membership fee of 150 HKD will be charged - an unexpected increase in the budget for ordinary tourist who won't choose to stay in the same chain hostel within a year. Although I had prepared for fairly good environment, it turned out to be worse than average speaking of the tidiness in the room I stayed - covered with dust and most showerheads do not function well. Some were out of order during my stay there. 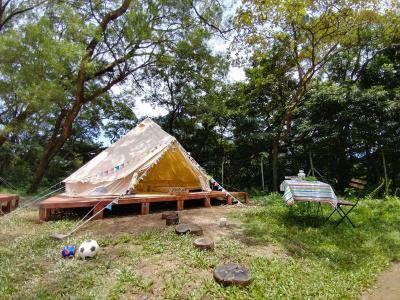 Tent looks nice and the place offers the possibility to barbeque. The kitchen is not clean enough but has everything people might use for a short stay. It takes about 5 minutes to walk to the Lantau Fun walk. 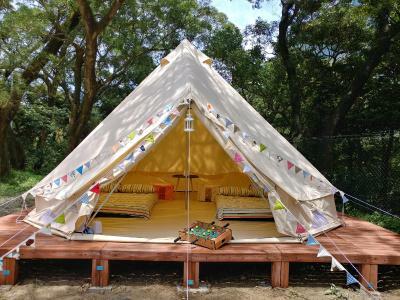 Comparatively better than Ngong Ping Campsite whose bathroom is located outside its dorm building. Staff is helpful and patient. I would like to start by saying I have stayed in over a +100 hostels/hotels all over the world and this was by far THE WORST. 1. It’s expensive to cab from the airport. 2. I emailed management to tell them my flight in was running late and I would be arriving shortly after 11pm( their closing time). When I arrived the gates were locked and lights out . Luckily another guest came to my rescue and woke up the staff to finally let me in. 3. I had to pay a 250HKD fee for a membership on top of what I already payed for my room for just one night. Huge rip off!!! 4. The facility was very poorly maintained , bathrooms were disgusting , and it appeared like mold could be pressent in the showers . (See photos) 5 . The mattress was extremely thin and very uncomfortable . 6. While staying there a caught another guest in my dorm room masterbating . I asked the guest to stop and went immediately to the staff with the issue. The staff would not accommodate me with another room where I felt comfortable or refund my money for the stay. They took down my email and documented the issue but never emailed me back to rectify the terrible experience . It was close to the giant Buddha . Stuff are seem not fond of having a small talk and a bit neutral. Hostel was dirty. No any cleaning there. Location is perfect. Lantau peak's wonderful. Free breakfast or coffee would be good. A few more snacks or food items to buy would also be nice. The restrooms need to be kept clean and with enough toilet paper or soap at all times.